CCA wire possesses the characteristics of both Copper wire and Aluminium wire: low density from Aluminium wire and good conductor from copper wire. CCA wire is widely used in different electrical applications requiring the conductivity of copper while retaining much of the weight advantages of Aluminium. 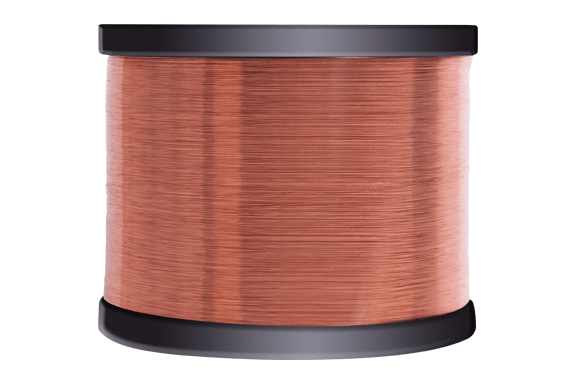 Light Weight: Weight percentage between CCA wire and pure copper wire is 37% to 40%. Low Cost: Under the circumstance of the same weight and wire size, CCA wire length is 2.5 to 2.7 times more that pure copper wire, which lowers the production cost. Environmental Friendly: CCA wire saves the copper resources and the production process is nonpolluting. Wide Range of Usage: High-frequency signal cables, Standard wire, Conductor of electric power cable , Conductor of automotive cable, Building distribution wire, Fuse , Radio frequency shielding, Conductor of control cable, Cotton covered wire busbar and many other products.